The introduction of DNA into genealogy has been revolutionary for the hobby. What was once a seemingly straightforward process of tracing family names through paper trails and family lore - where they existed - has been made more nuanced (some would argue complicated) by the ability to identify and establish family bonds using the invisible genetic signatures inside each of us. I am thankful for the insight that genetic genealogy affords the family historian. I witnessed firsthand just how powerful a truth rests in the blood. 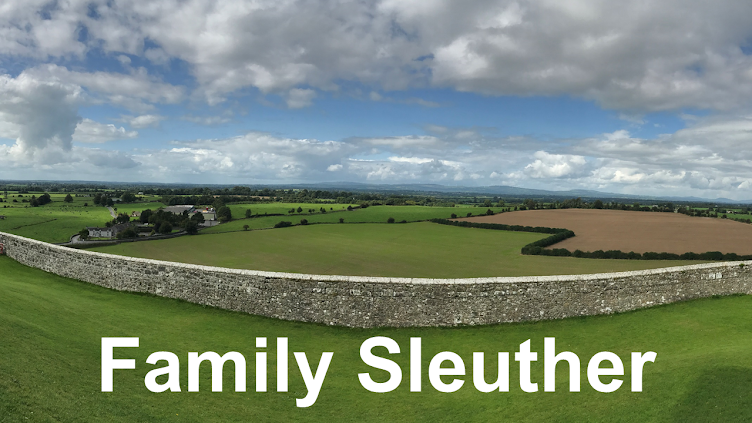 DNA helped me uncover a long-forgotten family secret (follow that wee little adventure in my four-part series A Family History Mystery Revealed). Uncovering a Non-Paternal Event (NPE) and learning the identity of my biological paternal great-grandfather was an eyeopening experience. While it didn't change the love for the family who raised my grandfather, it certainly expanded the branches of my family tree in unanticipated ways. There were new relatives with new surnames to research. Above all, there was a new appreciation for the genetic family tree. In late January, I read Lara Diamond's blog about her Updated Haplogroup Tree with great interest. 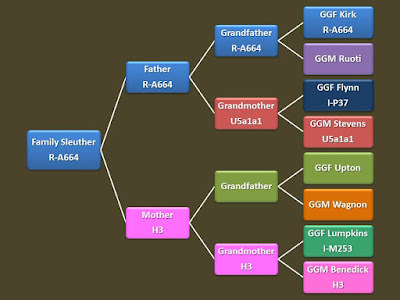 She built a pedigree that documents not names of family members but rather the haplogroup of her ancestors. Perhaps you're wondering what is a haplogroup? The International Society of Genetic Genealogy defines it as, "a genetic population group of people who share a common ancestor on the patrilineal or matrilineal line. Haplogroups are assigned letters of the alphabet, and refinements consist of additional number and letter combinations." Using the Y-DNA (paternal line) and mtDNA (maternal line) test results for family members tested with both FamilyTreeDNA.com and 23andMe.com, I plugged my ancestors' known haplogroups into my first Genetic Haplogroup Family Tree. It's a fledgling set of results with haplogroups known for 11 of the 15 family members depicted in my genetic pedigree. There remains work to be done. I don't yet know my maternal grandfather's Y-DNA haplogroup or his mother's. I also don't know my paternal great-grandmother's haplogroup. Fortunately, I'm certain there are descendants of these individuals who can test and provide this data. The clock is ticking. We'll check-in in a year to see what progress I make. 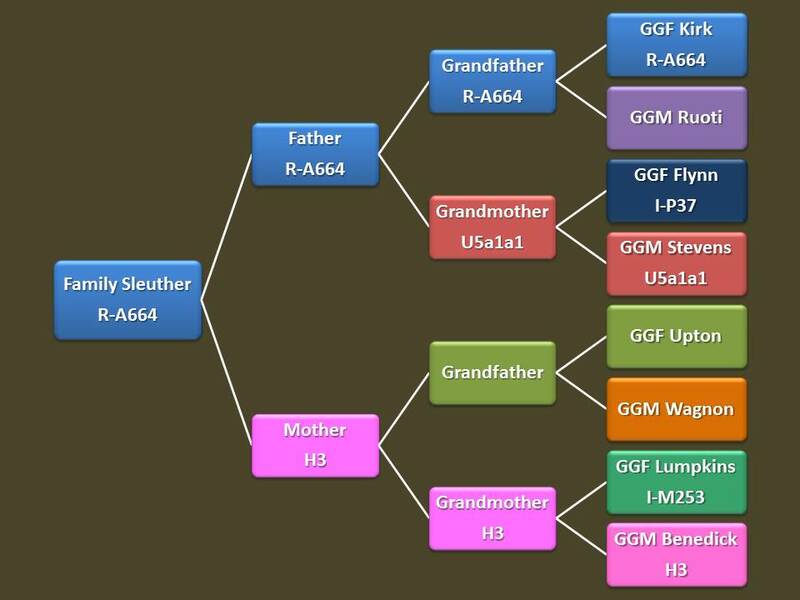 What about your Genetic Haplogroup Family Tree? Have you started mapping out your ancestors' haplogroups? This is were being strategic in your matches and who gets tested is important! I can't wait to do even if it's just me and my Parents so I can have a Visual on where I stand. The good news is that testing both your parents will knock out that respective paternal and maternal line haplogroup in each preceding generation. Good luck! I can't wait to read about your haplogroup tree, True.